A War Memorial. Bronze and Portland stone. A reversed form figure pressed into ‘Corrugated Iron’. Aviva HQ City of london. 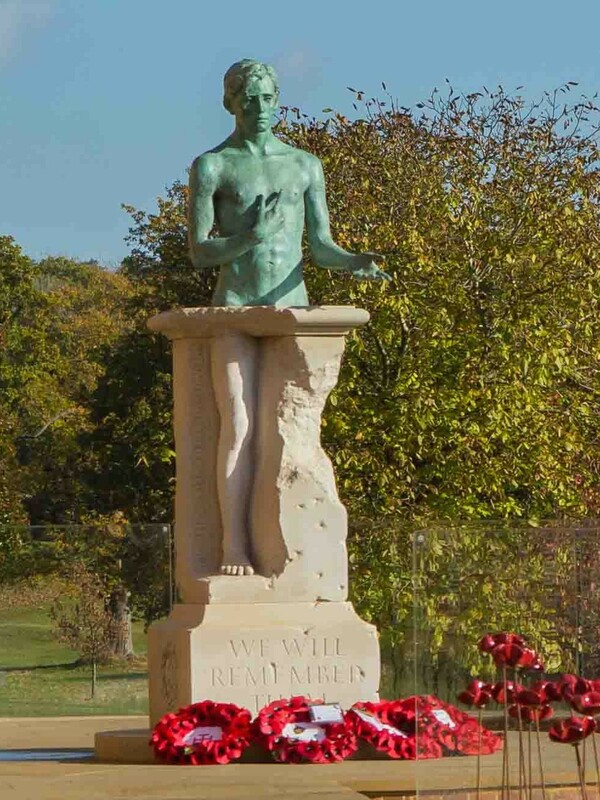 A War Memorial, Bronze and Portland stone set on a piazza with curved glass etched with names. Cranleigh School Surrey. 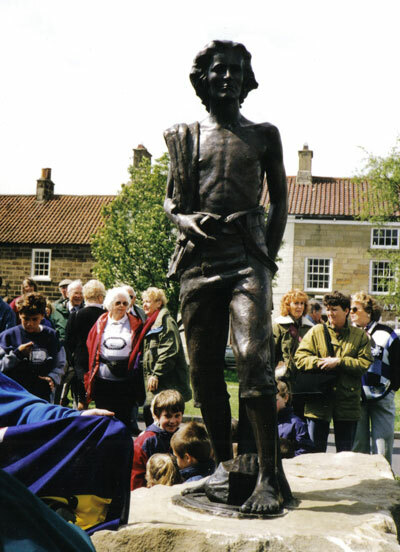 Bronze statue of the football legend. 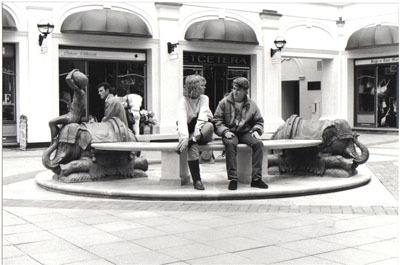 2m high set on a cut Portland stone plinth, incorporating a bench. 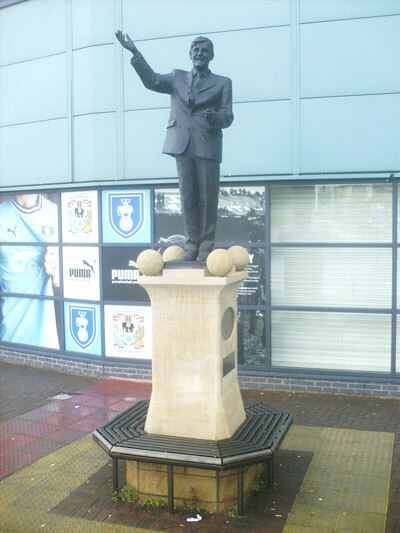 Commissioned by Coventry City Football Club for the Ricoh Arena, Coventry. 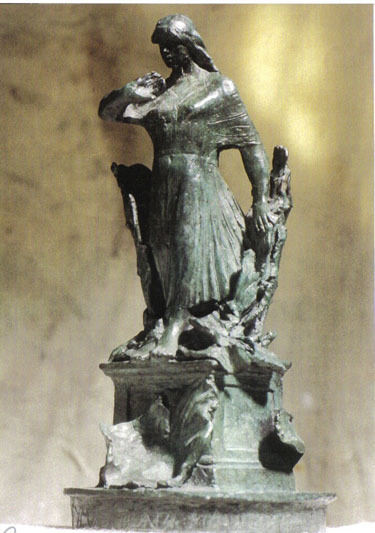 Bronze Statue of the young cook. 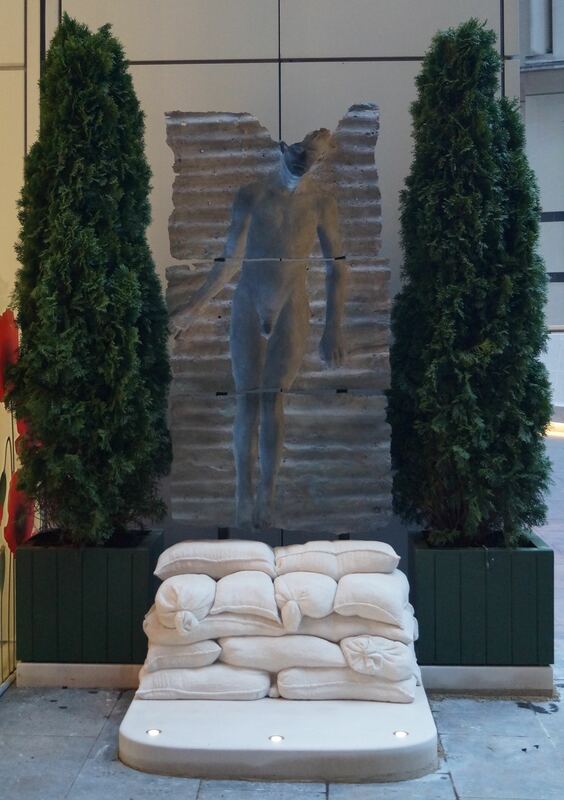 2m high set on natural block of sandstone. Great Ayton Yorks. 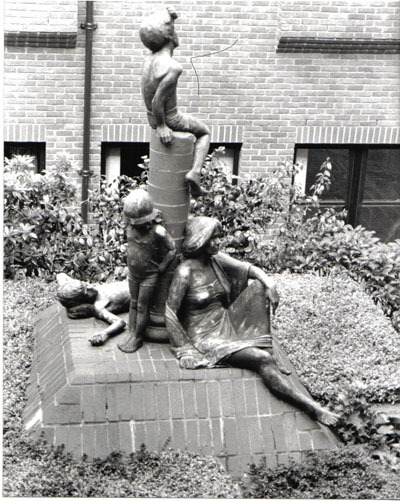 Commissioned by Hambleton District Council. 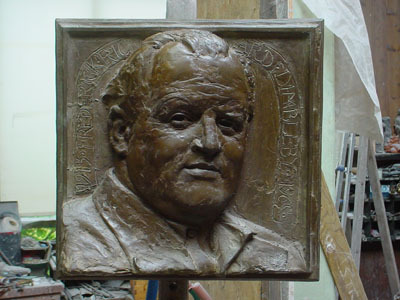 Bronze memorial portrait. Lifesize. Set on a cut stone plinth and large circular dias. 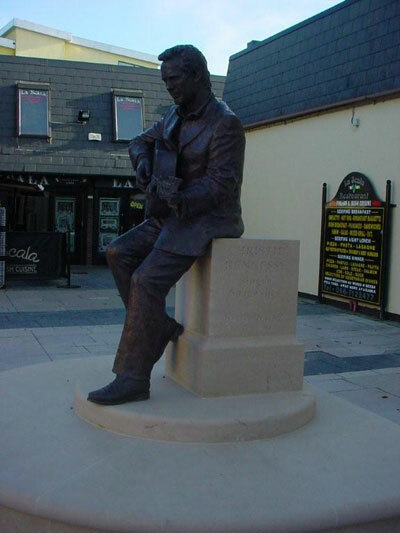 Commissioned by Tralee Town Council. 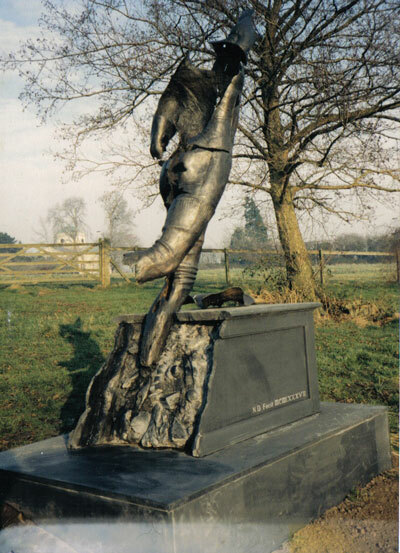 Bronze ballet dancer leaping from marble tomb. 8feet high. Stratfield Saye Estate. Berks. 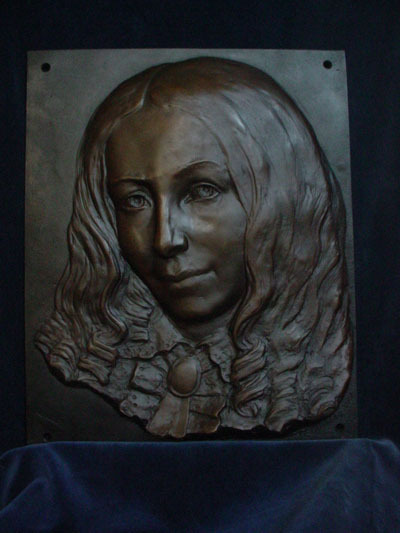 Bronze portrait 2m high on marble plinth. Battersea Bridge, London. Commissioned by The Chelsea Arts Club. 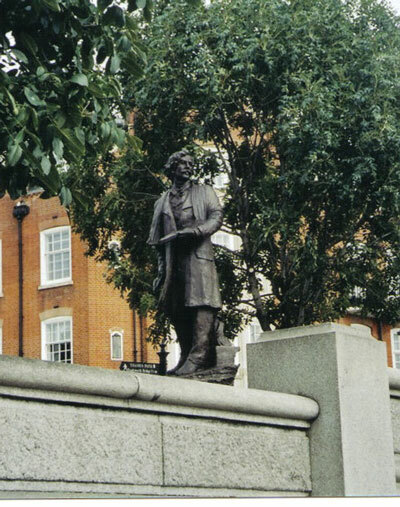 Commissioned by Peter Boizot for Soho Square, London. Bronze and cate stone for Warwickshire County Council. Now in the Jefferson Gardens, Leamington Spa. 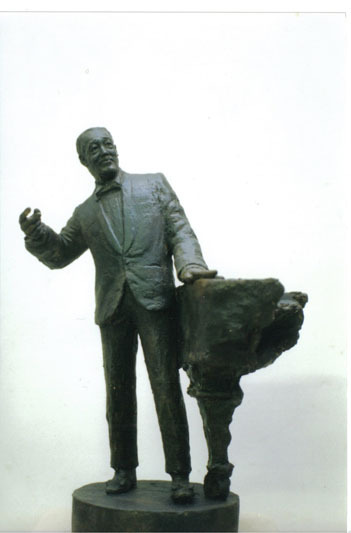 Bronze relief for memorial of the broadcaster in Westminster Abbey. Commissioned by the Sylvia Plath Memorial Committee for the Smith College Library, Massachusetts, USA. 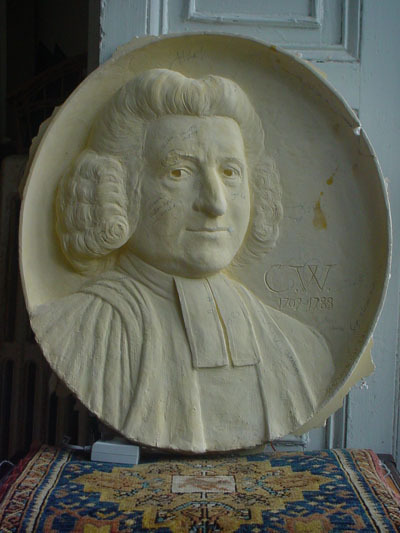 Plaster relief for bronze. St Marylebone Parish Church, Euston Road, London .